Rodeo time is here! So much time has already been spent on preparation, and we’re almost down to the wire. Rodeo Chair Ray Wright can use as much help as possible tomorrow at the Longview Rodeo Arena helping to get everything ready for opening night Friday. They’ll start getting ready at 8 a.m., but if you can’t make it then, he says he can use you through the afternoon. Let’s help him get everything in place as much as we can. 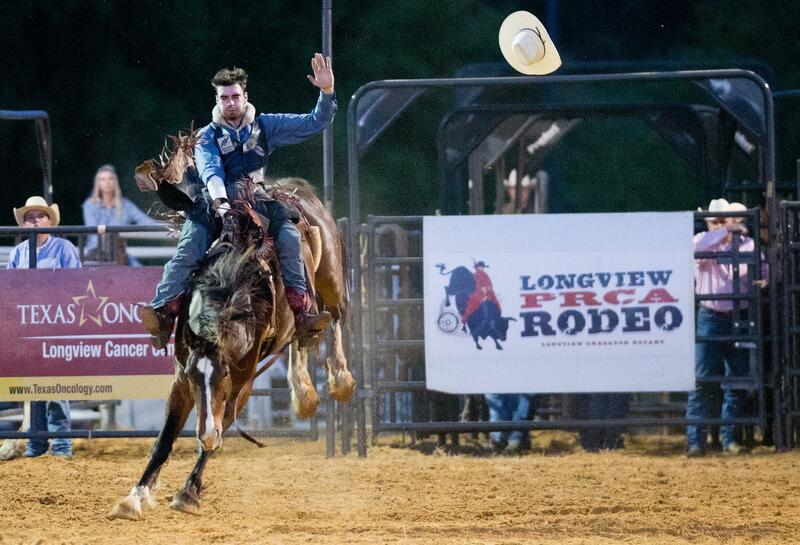 DON’T FORGET: We will be at the Longview Rodeo Arena for our noon meeting on Friday. Food is by Texas Roadhouse. Cost is the same. Don’t miss it! Friday night, be sure to wear your pink shirts. You should already know what time you need to be there and in what area. We’re also going to need as many Rotarians as can be there Sunday morning to help get cleaned up. That doesn’t happen on its own, so please be there if you can. That will again start at 8 a.m. The weather looks less than ideal for Saturday night. Keep praying that it misses us and that we have a great crowd in that arena. And keep in mind why we do this: to provide a fun night for the whole family; to generate funds that benefit our community, and to continue this great Longview tradition!